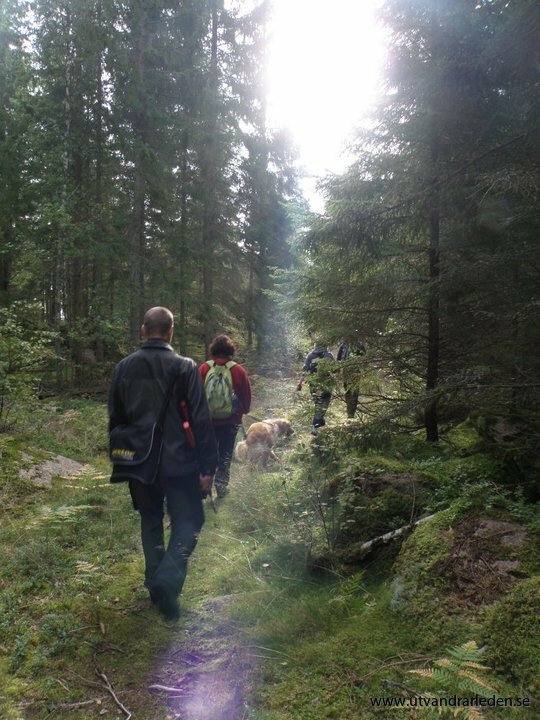 Our hiking trail runs through deep fir forests and light deciduous forests, via meadows and pastures, along lakes and stone walls, and past cottages and fences. 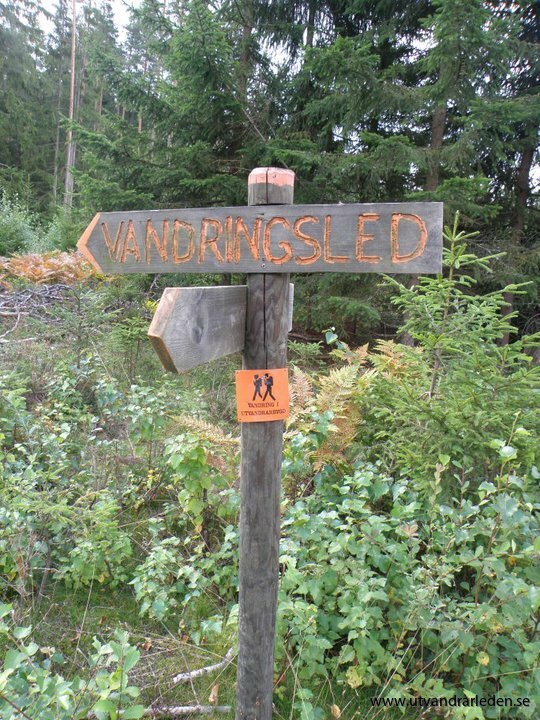 This round trip measures approximately 105-110 km and incorporates mainly woodland roads and paths. 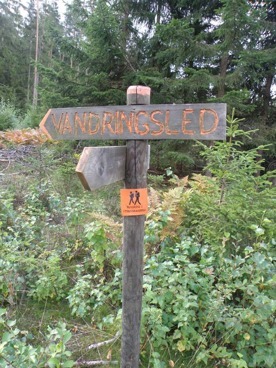 The paths are colour-coded in orange and there are signs with “vandringsled” in orange text. 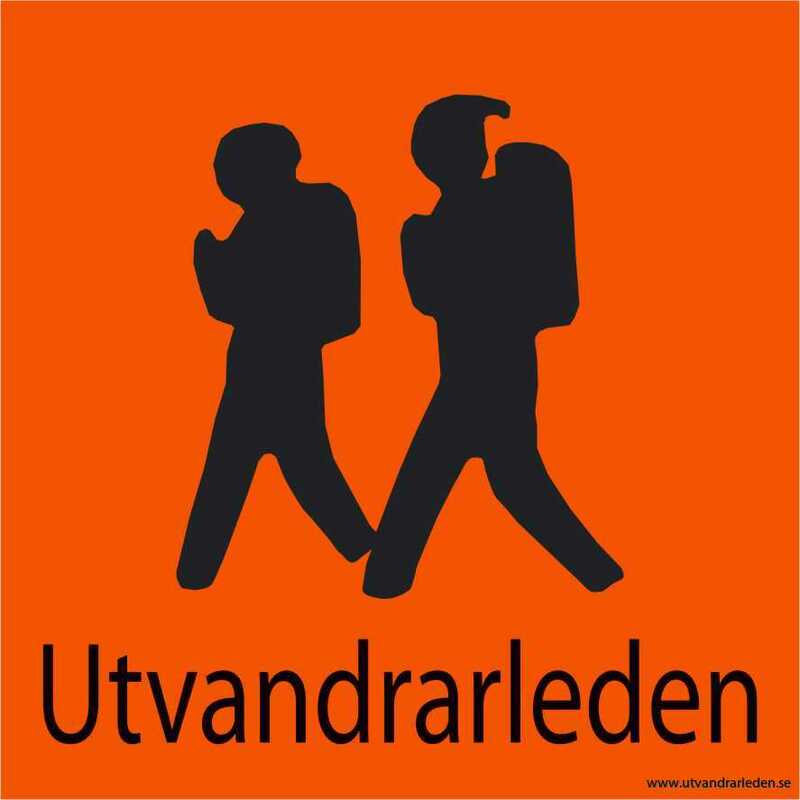 You will find overnight accommodation at 15-20 km intervals. 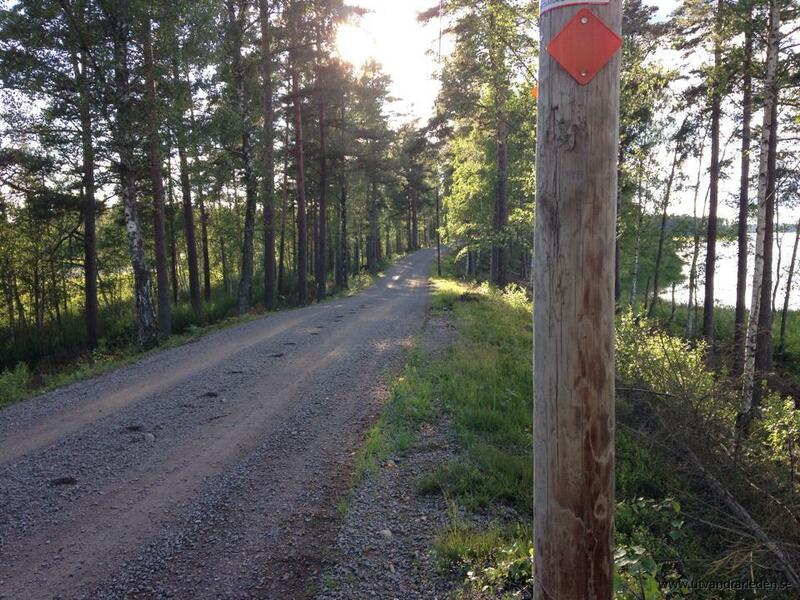 You may start and finish at any point and split the route into any number of stages. You can book the accommodation yourself, or buy a complete hiking package. 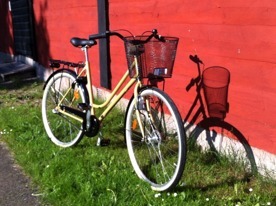 Additionally, we offer special touring packages with various different contents and prices. You may also order luggage transfers between accommodations. Along the route, there are a number of wind-shielded resting places where you can enjoy your packed lunch. You will also find a number of bathing places where you can stop and have a swim before continuing. 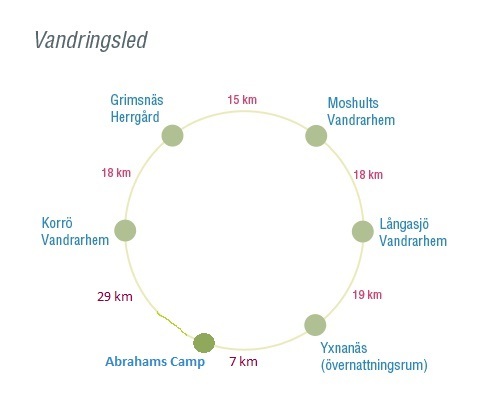 The route contains a large number of places worth visiting, many of which are linked to Vilhelm Moberg and emigration. We are also in the Kingdom of Crystal and the route passes the community of Skruv, where you can visit the local glassworks and watch the glass-blowing in action. 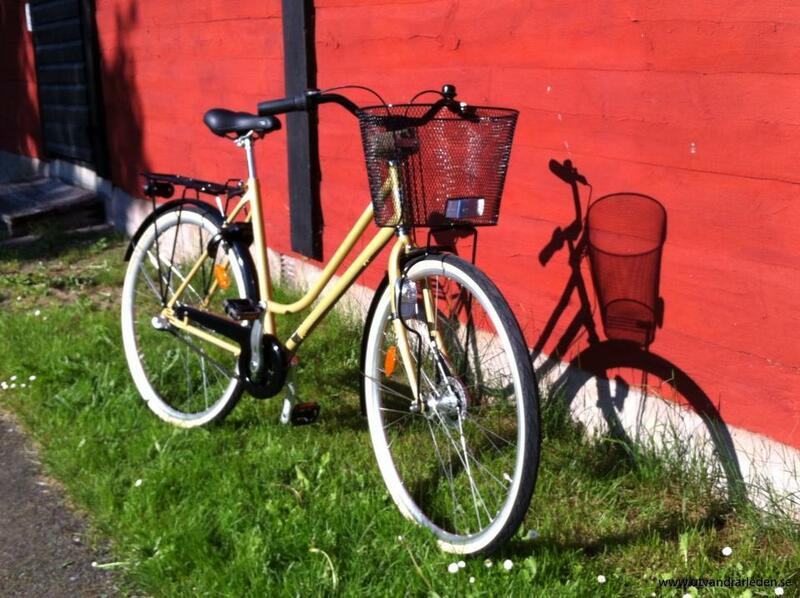 During a bike tour, you will experience chirping birds, the smell of fir forests and peace and quiet – an experience of nature close up! 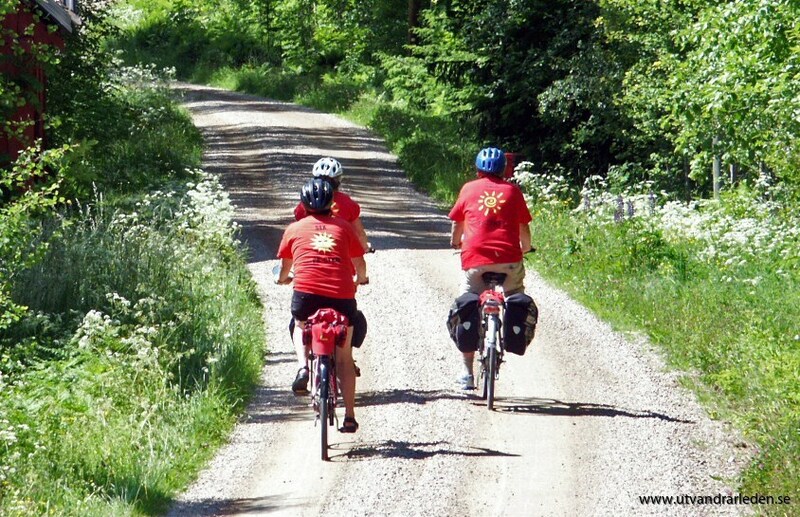 Our cycle route follows mostly gravel roads and smaller asphalt roads. 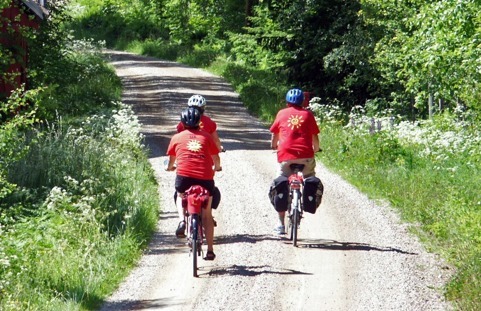 It is a 130-km round trip, with various accommodation facilities along the route. You choose where you want to start and finish, and how long you want the daily stretches to be. We offer special touring packages with different content and prices. 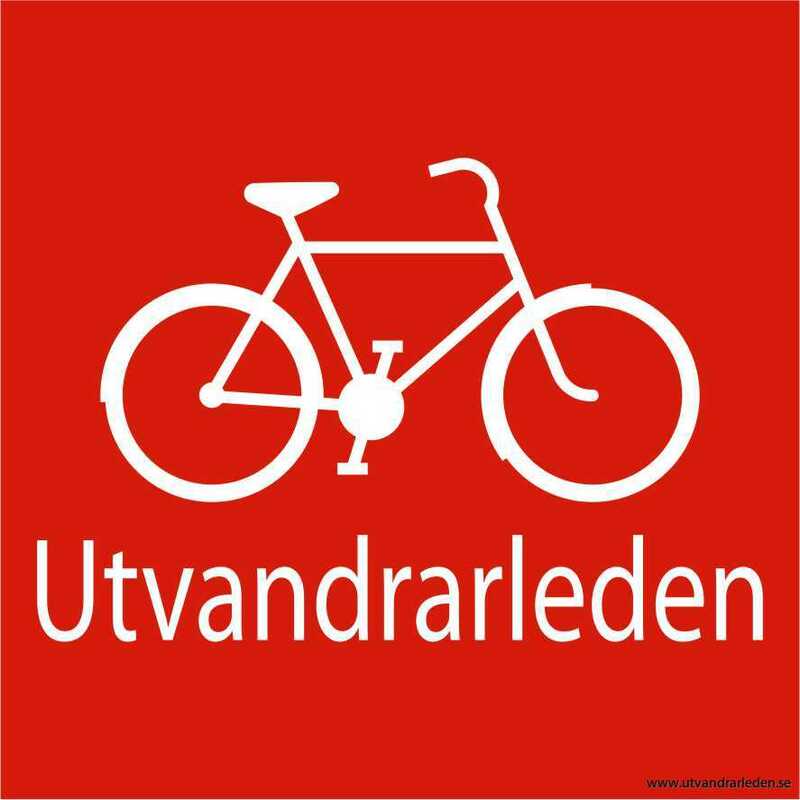 You will be able to rent bicycles at all hostels along the route. There are a number of bathing places where you can stop and have a swim before continuing. 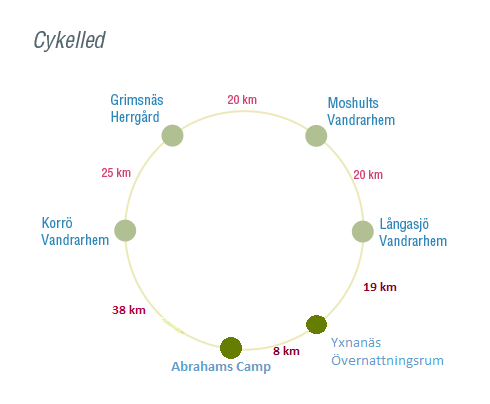 The route contains a large number of places worth visiting, many of which are linked to Vilhelm Moberg and emigration. We are also in the Kingdom of Crystal and the route passes the community of Skruv, where you can visit the local glassworks and watch the glass-blowing in action. The glass shop is open all days and there are glass-blowing demonstrations in the daytime from Monday to Friday. 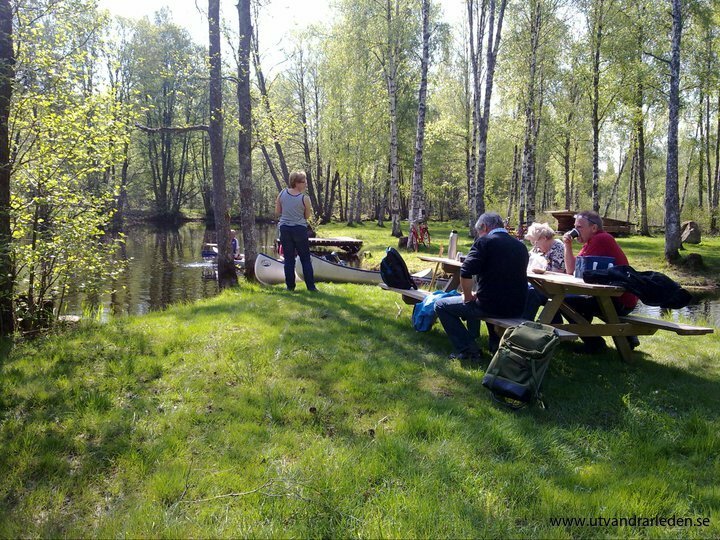 To silently glide through small passages along Ronnebyån’s quiet waters is food for the soul, for all ages. 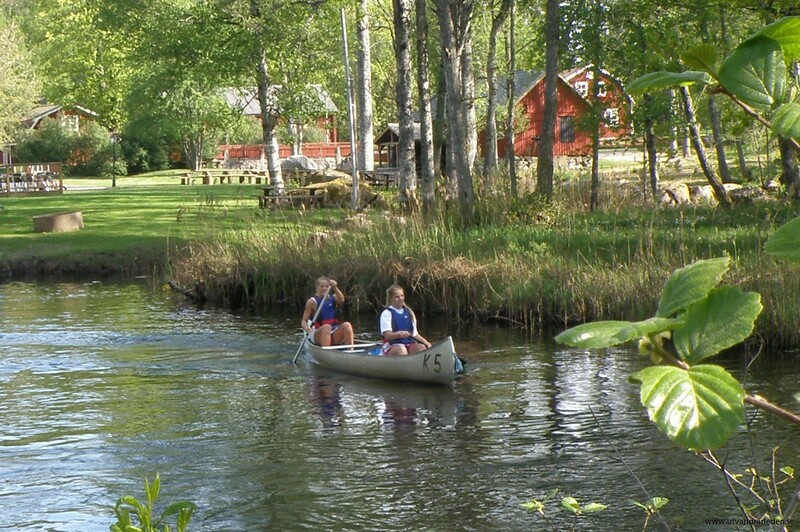 Enjoy a packed lunch at any of the beautifully-located picnic spots along the canoe track, and simply enjoy life. 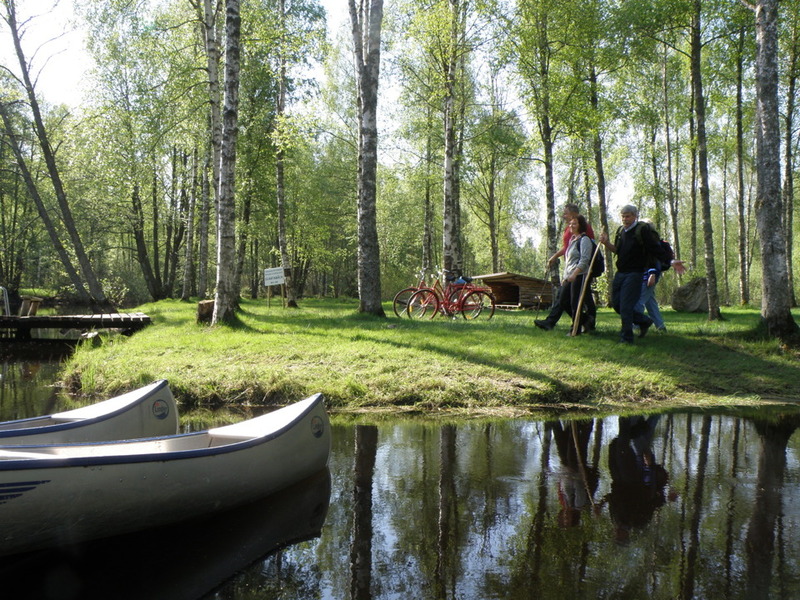 When you are about halfway, the stream will open up and you paddle further along small lakes. 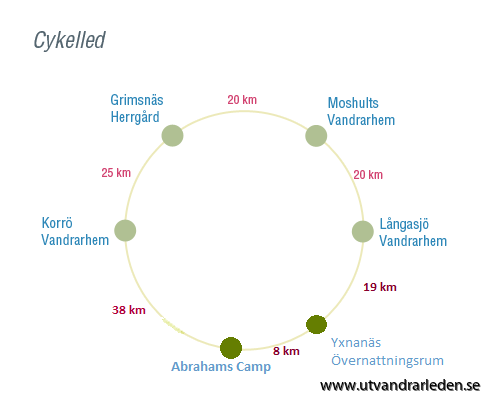 After about 4-6 hours, you will arrive at Sjöviksgården where some pleasant rooms will be waiting for you. The canoes are Linder’s aluminium canoes which seat two adults, with an extra bench for a child.